What do you buy the person that has everything? A Tingalpa Hotel gift card of course! Spoil a loved one with the gift that just keeps giving. 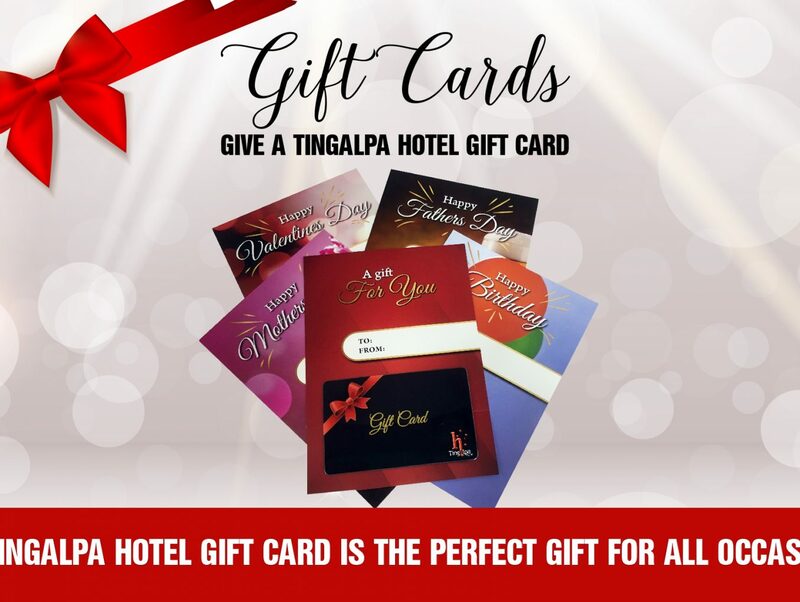 The Tingalpa Hotel gift card is the perfect way to say thank you, I love you, well done, I am sorry, Merry Christmas, Happy Birthday or just because. The value of the card is up to you and can be used in our bar or our recently renovated restaurant. Our venue gift card is the perfect quick gift for all occasions, Mother’s Day, Father’s Day, Birthdays, Valentine’s Day, and Christmas. Our gift cards are available for purchase from the Tingalpa Hotel during our operating hours. Why is it Important To Give Gifts? There has been a considerable amount of research over the years into the feelings of wellbeing that occurs when we give gifts to those we care about. From as early as cavemen days gift giving has been rewarding which may be the reason it has stood the test of time. Simply put, the giving of gifts can make a person feel happier about themselves as well as to the person that has received their gift.